For more than 30 years, people throughout South Dennis, Massachusetts, and the surrounding areas have made All Cape Garage Door their source for prompt garage door repairs. Whether your door won't open or sticks while opening, our garage door company is ready to solve the problem. A garage offers ample amount of space to stow away your vehicle or other belongings. Unfortunately, when your garage door doesn't work properly, you can't get to your items. Instead of handling the repair on your own, call our highly-skilled technicians for our fast and efficient garage door repairs. Backed with our experience, we can quickly fix the problem to make your garage door work properly. 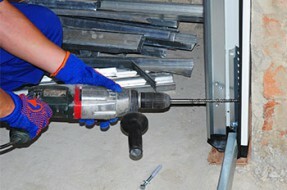 In addition to our garage door repairs, All Cape Garage Door offers expert repair services for accessories and openers. For your added convenience, our company offers 24-hour emergency services for the inconvenient event when your door comes off the hinges, leaving your vehicle trapped inside. Contact us today to request an estimate for garage door repairs to ensure your door works properly.